This month at Citrus Twist we have included two 4x6 chipboards and O rings in the March "Oliver" Scrapbook Kit to serve as a foundation for a mini-album. 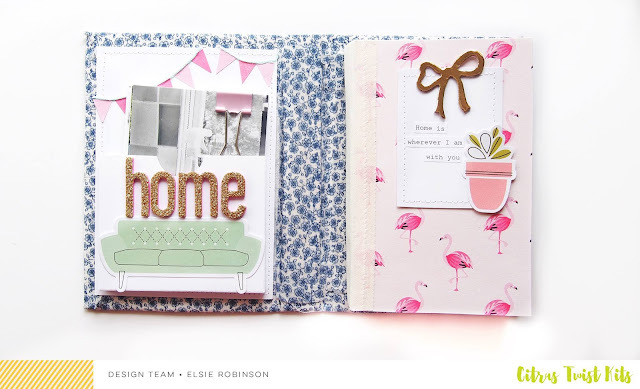 To make sure you have lots of inspiration and ideas for creating your own albums, five of our designers will be creating their own mini-albums and will be sharing their projects on our Facebook Fan Page and other social media sites. Hi friends! 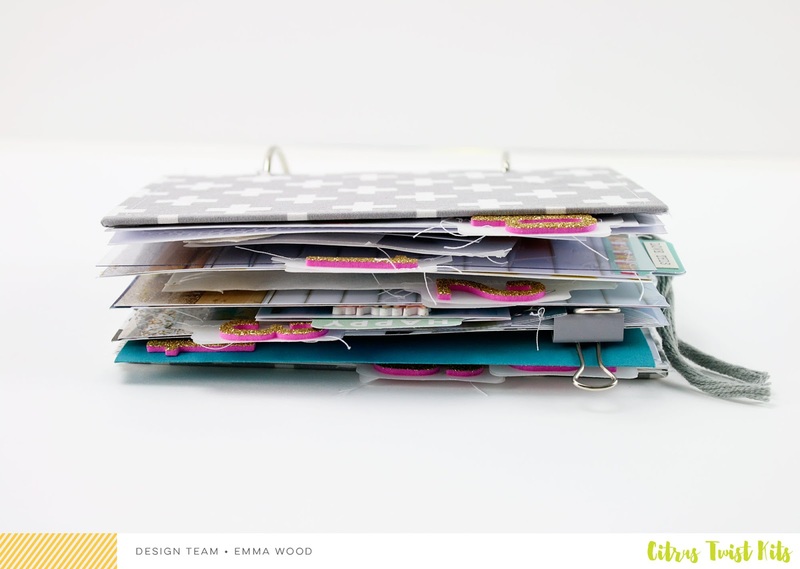 I love creating mini albums so I was excited to see the chipboard and rings included in the main kit this month. The 6X4 size is perfect too; you can go big using all those 6x4 photos, but it's not too big that you have a lot of space to worry about filling. My mini-album is all about the first day of school for Zack-I've been taking the same style of photo on his day of school each new school year (I think it will be fun to look back in 10 years at how he's changed through out all of his school years) and having them all together in one mini-album is the perfect way to showcase them. I love creating mini books. I love the smaller format that challenges me to try different things. This time I wanted to challenge myself with the cover. 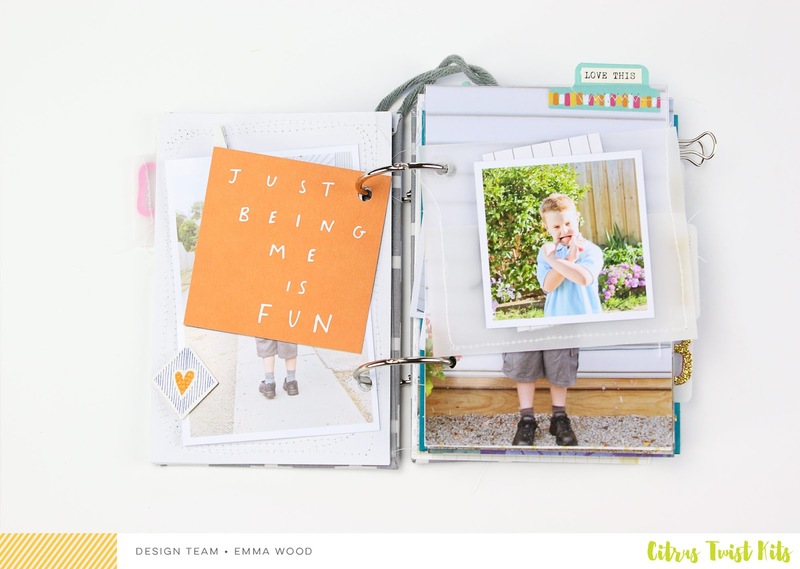 I'm a very clean simple scrapbooker and I'm not a huge fan of paints as I can't work with them with clean hands. I wanted to paint the covers with mint and white paint to create a nice texture. I love how the covers turned out so I'm challenging you to pick up your paints and use them while creating a minibook! 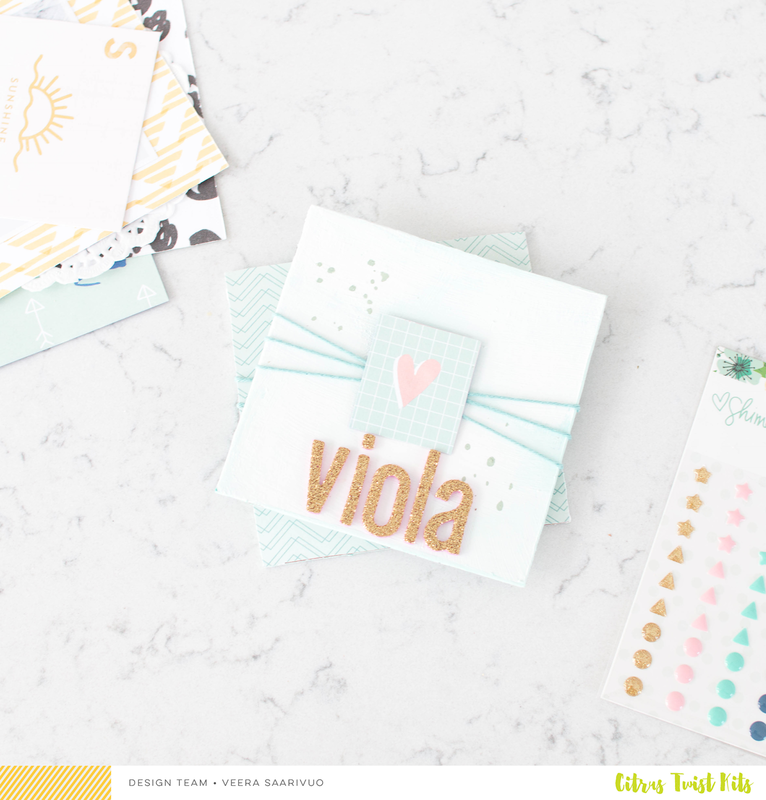 Hi everyone it's Elsie here and I'm really excited to give you a peek into the mini album that I'm making with the Oliver Kit this month! To me, creating the structure of mini albums always seems like a really overwhelming and grueling task because I'm impatient to get into the fun decorating bit. But the 6x4 chipboard pieces in the kit made the album "construction" super easy! Hi guys! First, I am very excited to be contributing a mini-album this month! Mini-albums always provide a nice and refreshing break from my usual scrapbooking routine. 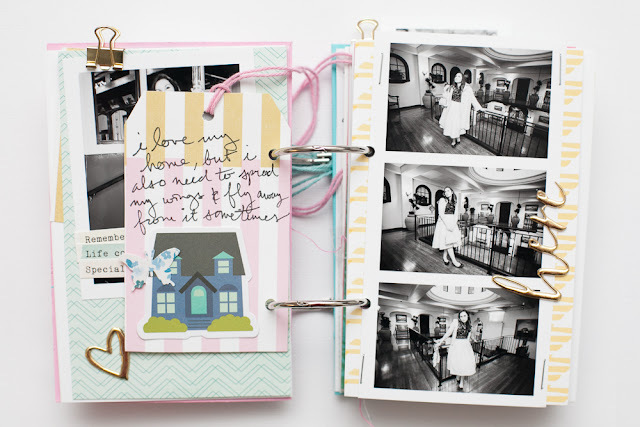 I get a lot of joy from choosing the subject of an album and having the opportunity to use all the photos-especially when I have a nice, big stack of photos from a particular day or story. 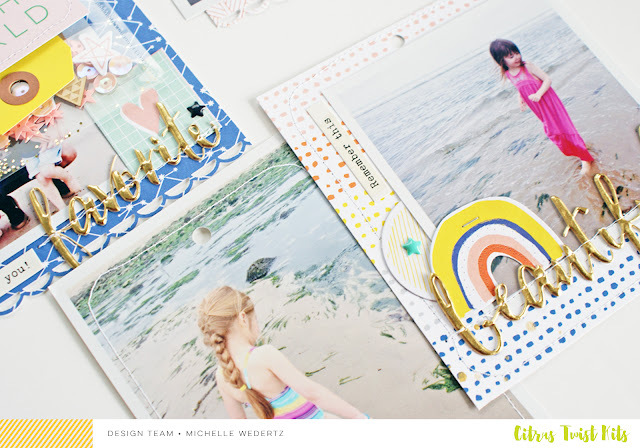 I thought that the March "Oliver" Kits-both the Scrapbook and Pocket Life Kits-were a perfect match to document one of our beach trips from last year and after receiving my photo order in the mail I set out to create the inside of my album first! The cover is typically harder for me to create, so instead of spending lots of time get past that roadblock, I like to jump right in and work from the inside out! Usually by the time I am finished, I will have a better idea of what I want my cover too look like. I can't wait to share the complete mini album with you all later this month! 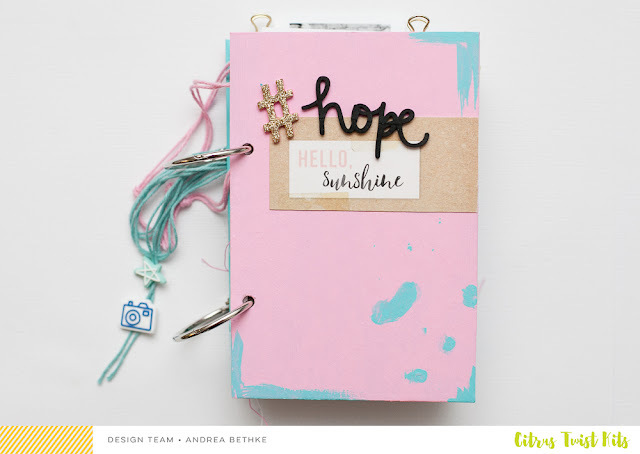 Using the beautiful Citrus Twist March kits, I decided to make a mini album that was about hope and all the elements right now in my life that are helping me stay hopeful during what has been a really difficult time. These three things are – happiness, bravery and love! As some of you may or may not know, I have a very serious health condition called CRPS and it causes constant pain every day of my life. Lately my CRPS has been particularly bad. 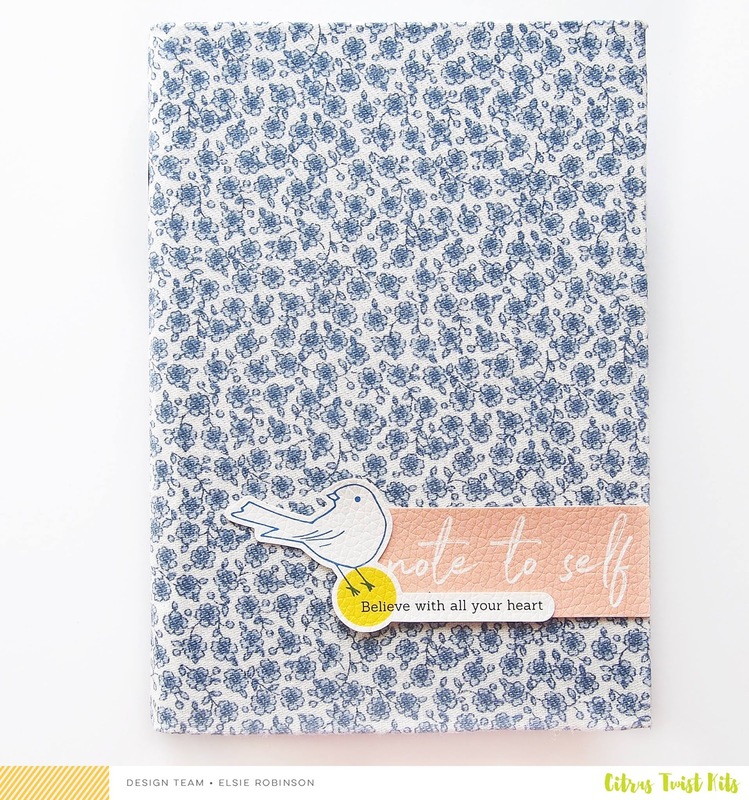 A mini album is perfect for the purpose of reflecting on the thoughts and feelings that you are experiencing at a particular time in your life. The good and the bad. Not all of our stories are pretty, perfect stories, but all of them are important! For this reason, I challenge you to create a mini album that reflects not only what is good and sweet in your life, but also what is difficult and bitter. Try including the perfect picture moments and the not so perfect ones...try journaling in a way that goes deeper than just...”what a great day!” Write about your thoughts and emotions. Be real! 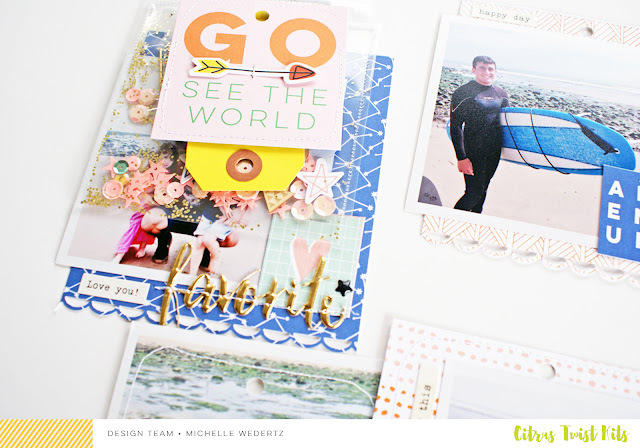 For more inspiration, mini album tips, ideas, and challenges make sure and visit our Facebook Fan Page and gallery throughout the month of March as our designers will continue to share their process, completed projects, and provide lots of inspiration for your own albums!